Experience the Latest in Swimwear Technology with the Speedo LZR Racer X KneeSkin Closedback in a Limited Edition Siren Print! 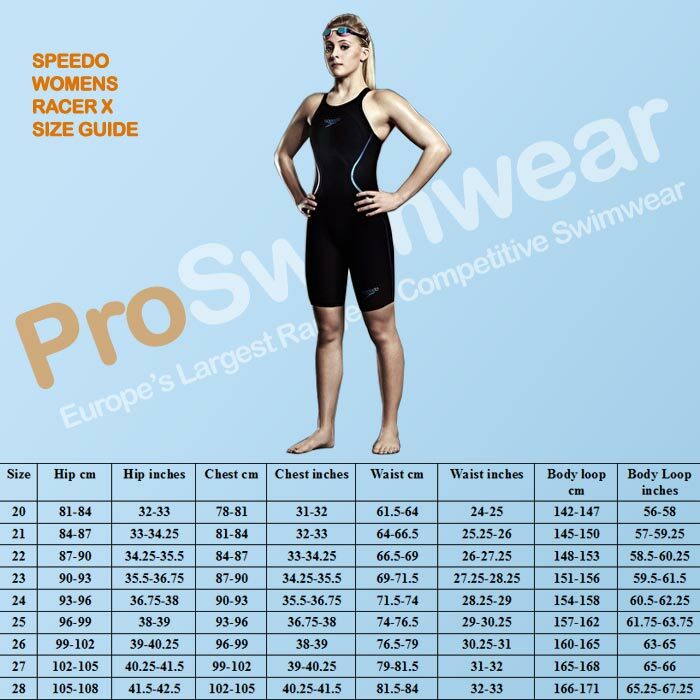 This Speedo Swimsuit is optimized for racing, it is designed to create the optimal shape for maximum speed and performance through the water! This is achieved through the latest in compression technology achieved through 10,000s of hours of Speedo Research using 3D scanning! Feel the Water. Feel the Speed. Feel Fast! to create optimum shape for maximum speed and performance through the water. to meet your personal swimwear and equipment preferences. To bring you increased compression, maximum comfort, improved sensitivity and precise sizing. With over 10,000 hours spent on product creation to bring you the new Fastskin LZR Racer X! to improve localised sensitivity to the water, that encourages lower abdominal muscle activation. This helps to keep the correct optimal body position throughout the water. Providing them with a smart stretch technology for high muscular compression with plenty of freedom of movement. The newly designed finishes and components allow for a better fit and easier entry into the suit. A unique tape design which runs along the side, for a stand-out out on the blocks look.